Since the Act of 1873 ended the mintage of the three-cent, half-dime and dollar coins, the Western mints had very few coins to strike because they were not authorized to produce minor coins. 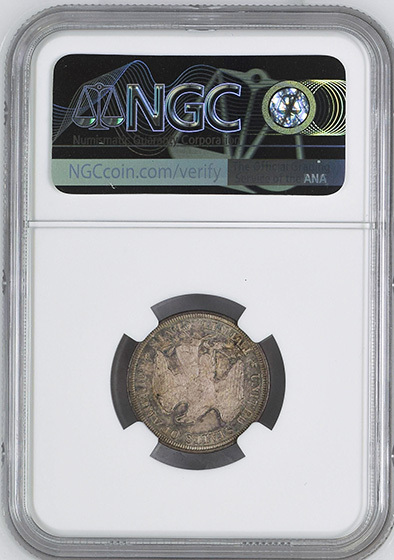 Senator John Percival Jones of Nevada decided that it was time to rehash the idea of a twenty-cent coin that the Carson City mint could strike. This was not the first time the idea for this denomination had come up; first proposed by Thomas Jefferson in 1783, the idea was dismissed for the more useful quarter dollar as part of the Coinage Act of 1792. It was once again proposed in 1806 as part of a larger bill, but was once again denied thanks to different ideas on the same bill. Finally, once the Act of 1873 had caused the half-dime to diminish from circulation Senator Jones thought conditions were right to bring the twenty-cent coin back. The other, more reasonable option would have been to allow the western mints to strike minor coins, but this idea was simply ignored time and time again. Jones had high hopes for his presentation, however, which utilized anecdotes about how difficult it was to make change for the frequently used quarter without the help of half-dimes. Thinking about the difficulties of making change for a quarter now seems ridiculous or something one would find on a seven year-olds math homework, but it 1875 it was much more of a task. With several items priced at ten-cents consumers often paid with quarters which were more abundant than dimes in the west. Once change was due, people were often short changed or given Spanish bits which were only worth 12 ½ cents and no longer legal. With the help of Mint Director Henry Linderman and a list of complaints, Senator Jones proposal passed. The hardships to even pass the denomination through congress should have been an indicator for how well this coin would function in circulation, but as they always say hindsight is 20/20. Once approved, Linder man ordered mint superintendent James Pollock to send designs over for the new coin. 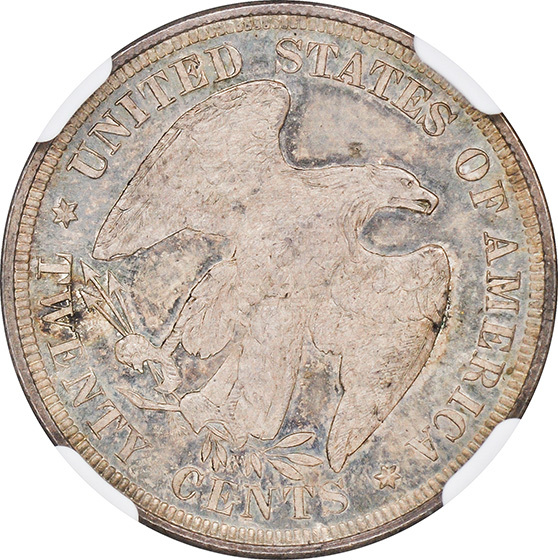 The first proposed designs resembled the already circulated quarter dollar and were quickly denied. 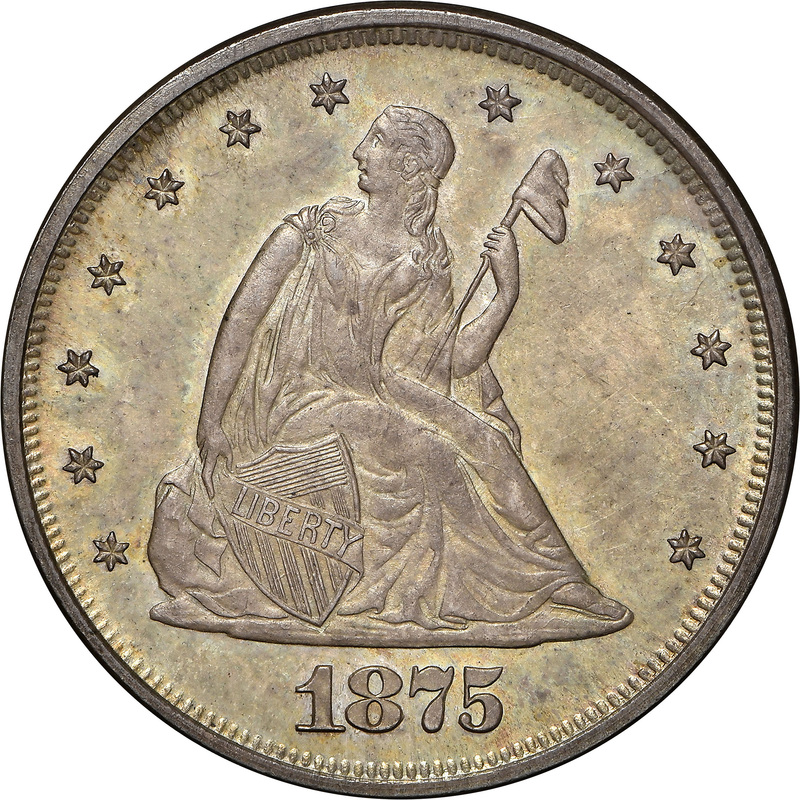 After he received more designs that helped differentiate the coin, Linderman’s ideas were struck down due to current Treasury Policy that required all coins of the same metal to bare the same design. The result was a twenty-cent coin that looked nearly indistinguishable for the twenty-five cent coin. The two design differences that distinguished the two were the engraved denomination values and the non-rigid edges of the twenty-cent meant to help the illiterate differentiate the two coins. Linderman’s inability to not add distinguishable characteristics to the coin led to mass confusion and major public dissatisfaction. As a result, a bill was passed to repeal the twenty-cent approval the following year in 1876 but it did not go into full effect until 1878. 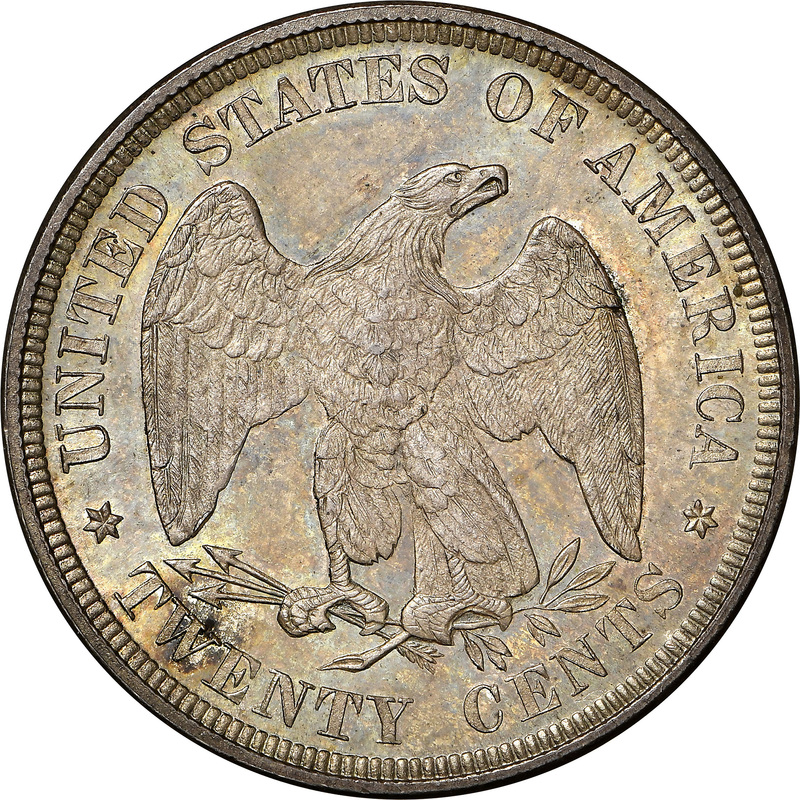 Despite its short life-span the twenty-cent was minted in both the San Francisco and Philadelphia major mints and the smaller mint branch in Carson City. 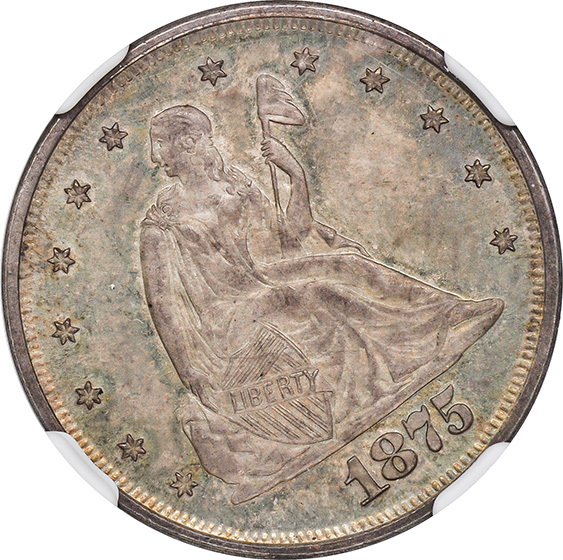 Each mint produced a small number of coins; Philadelphia minted the lowest number of coins at thirty-nine thousand seven hundred in 1875 followed by a lowly fifteen thousand in 1876. Carson City, the branch that the proposal was built around, struck a massive one-hundred thirty-three thousand in 1875 followed by a dismal ten thousand in 1876. Finally, San Francisco topped the charts at a whopping 1.3 million coins but only minted it for one year- 1875. 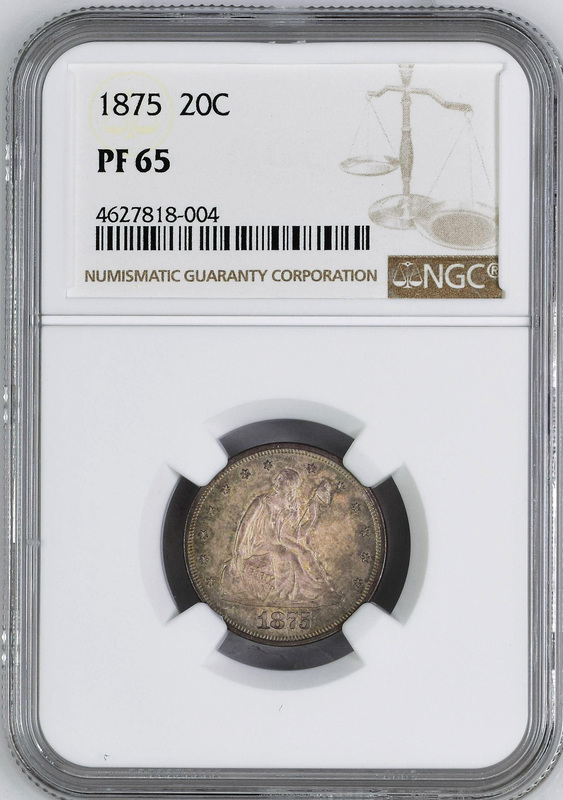 After the approval was withdrawn the Treasury ordered that all coins were to be melted down which makes this twenty-cent coin an actual historical phenomenon.